Programming is a powerful tool that can change your life. 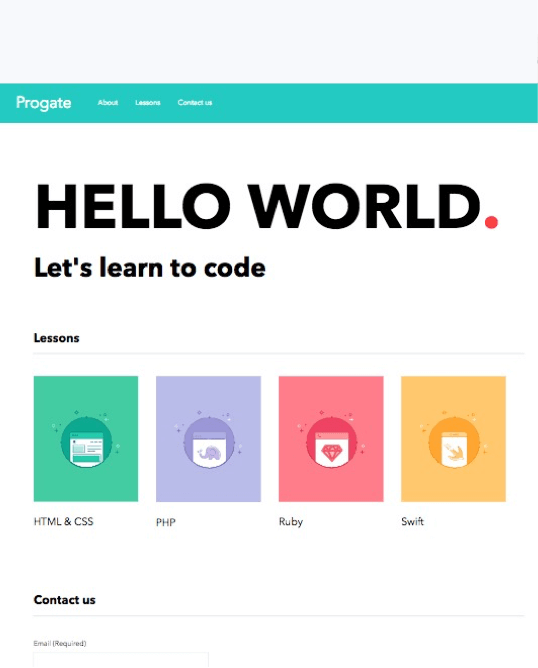 Learn to code on Progate! Text is boring. Videos are long and dull. 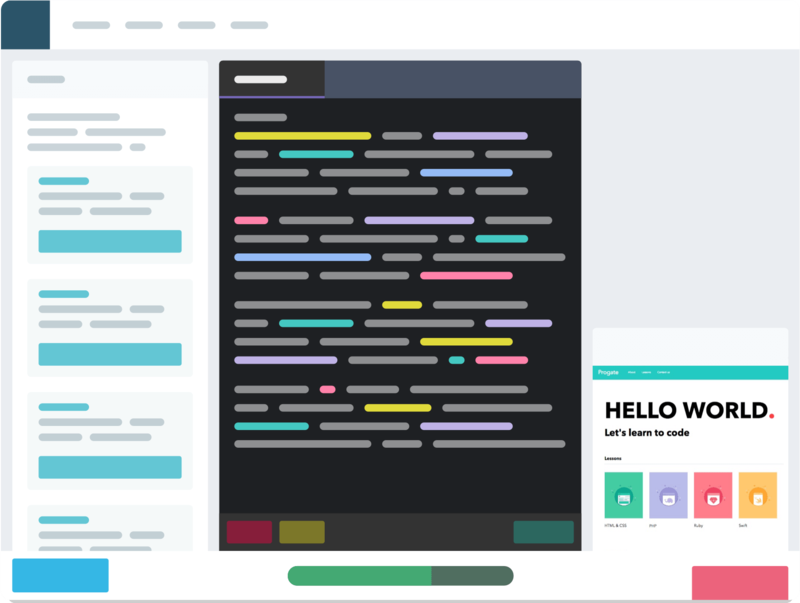 With slides, you can easily grasp the information visually, and learn at your own pace. Practice is key. 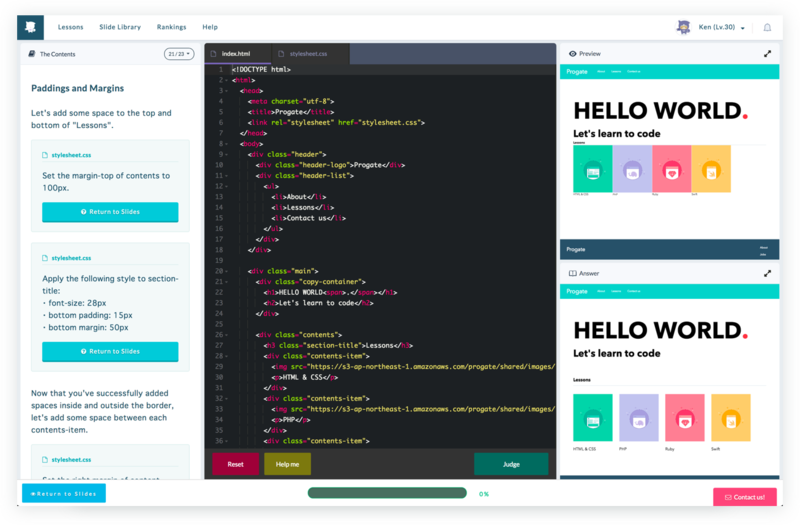 We have prepared a full coding environment for you in the browser, so you can apply what you've learned immediately. and make two promises to people in order to achieve it. Learn the skills required in the real world. You can create a product in our lessons that will help you become an independent engineer. Learning is fun when you understand the content. 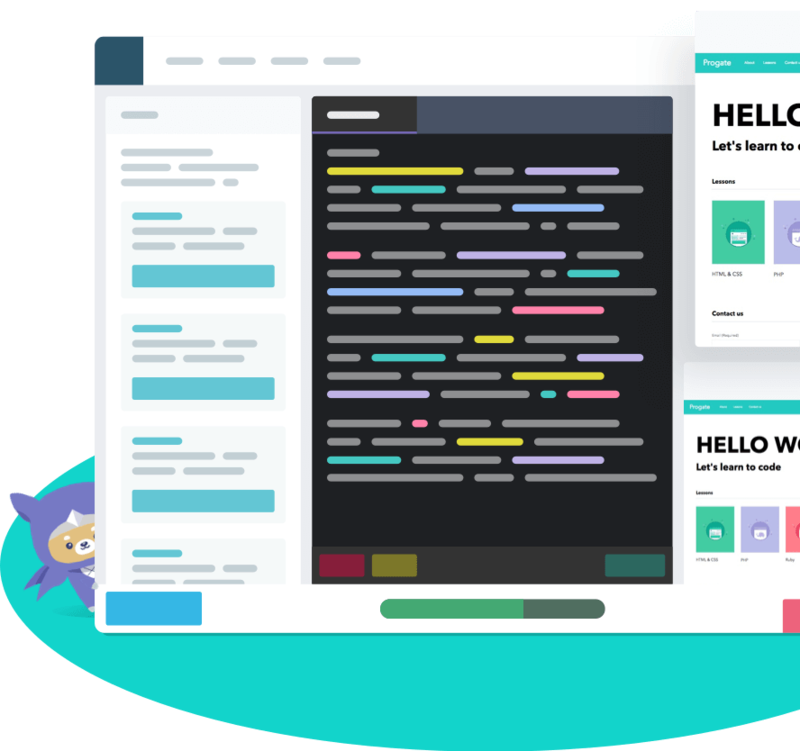 Our clear, interactive lessons motivate people to learn. Find the right lesson for your path. 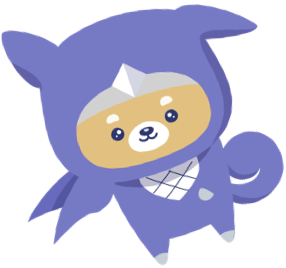 To provide lessons that even beginners can understand and continue. 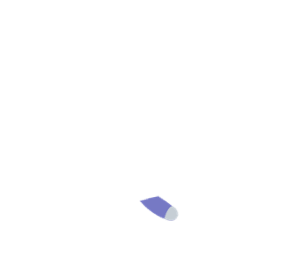 To help people acquire real-world skills and become creators . Want to take a step into the world of programming? We'll be your guide. Hear about inspiring stories of how they first started programming! 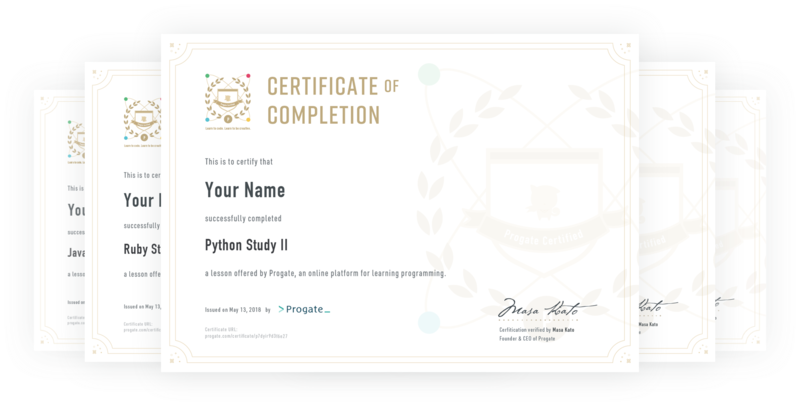 You will be able to download a Progate Certificate after completing each lesson. Share your achievement on LinkedIn, Facebook and more! The exciting world of programming awaits you. 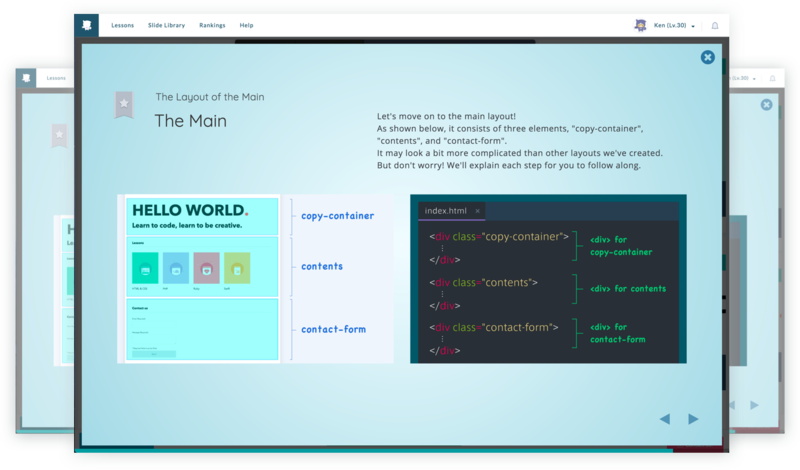 Get a light introduction to our web lessons or review what you’ve learned in your free time. 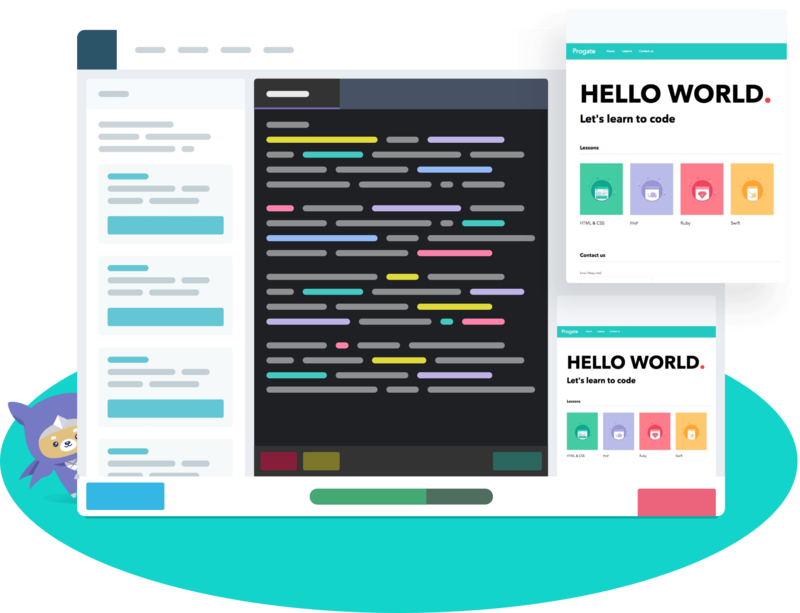 Improve your coding skills wherever you are and whenever you want. 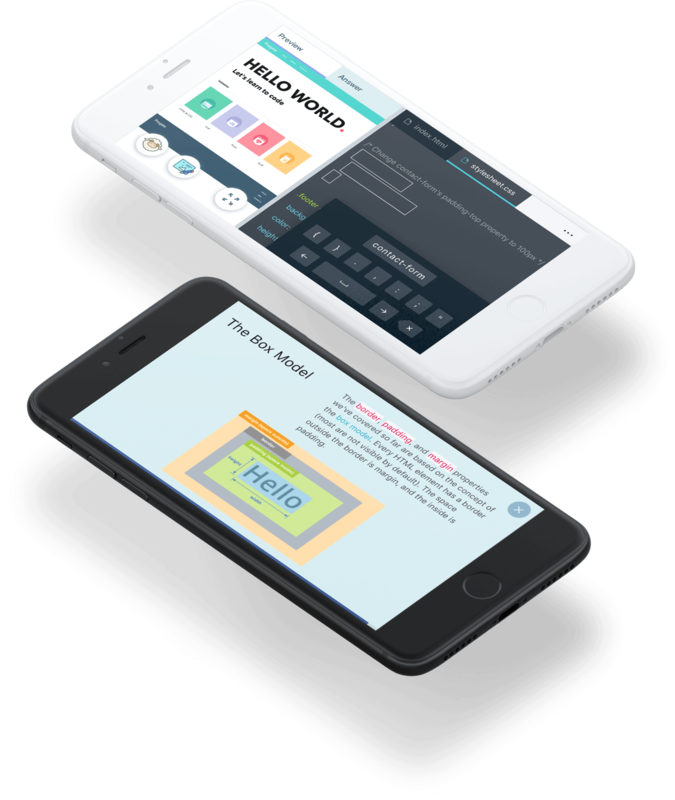 While similar to our web lessons, our app lessons have been slimmed down and optimized for learning on the go. Perfect for beginners, they provide an even more streamlined learning experience.